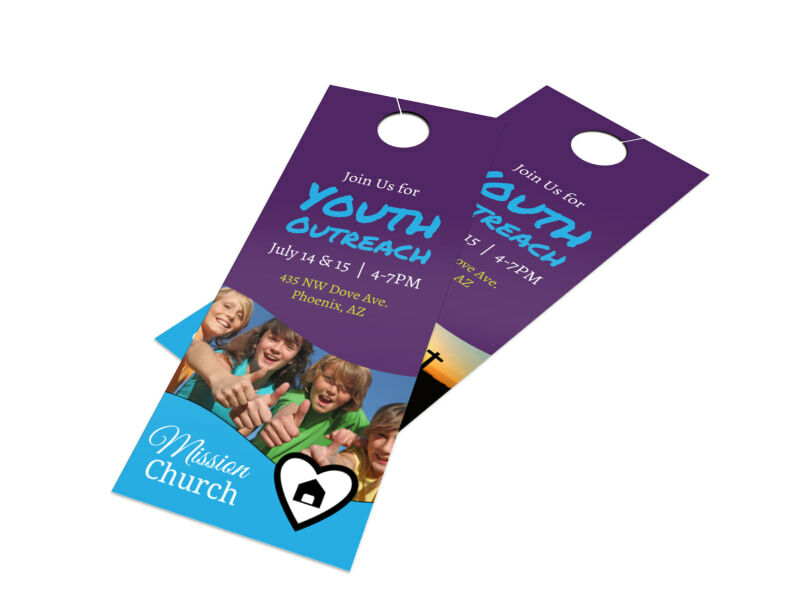 Customize our Church Youth Outreach Door Hanger Template and more! 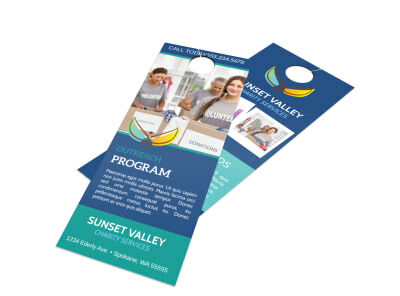 Make your next door-to-door membership drive more successful by leaving behind your youth group’s details on a custom door hanger. Include pertinent details for youth that are interested in joining your group, including how to contact you, what types of activities your group participates in, and more. Design your door hanger in minutes. Get started now.